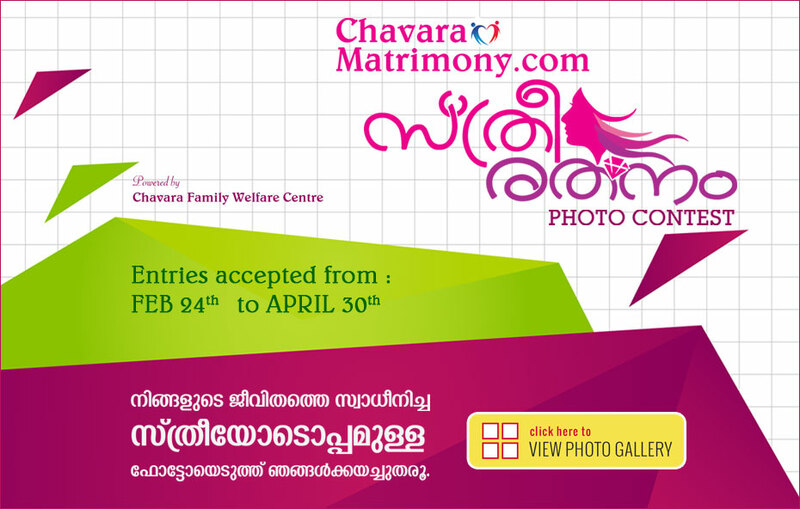 Search Life Partner of your Dreams..
"Sthree Ratnam" photo contest is brought to you by ChavaraMatrimony.com. This contest is open for Malayalee families. After enrolling your photo in the " Sthree Ratnam " Photo Contest, we will provide you a link, which you can share in Facebook. Submitted photos will be placed in " Sthree Ratnam " Photo Contest page of ChavaraMatrimony.com website.